This article is the transcript of a devotional that Stan was invited to share at the beginning of the National Staff Conference of the Epic Movement, April 17,2012 at the Atrium Hotel in Irvine, California. Epic is the Asian American campus ministry of CRU (previously Campus Crusade for Christ). The theme title for the conference was "Resilient," the focus being on faith that endures as reflected in Hebrews 12:1-2. Hebrews 11 lists people of great faith who are referred to in Hebrews 12 as a "great cloud of witnesses." 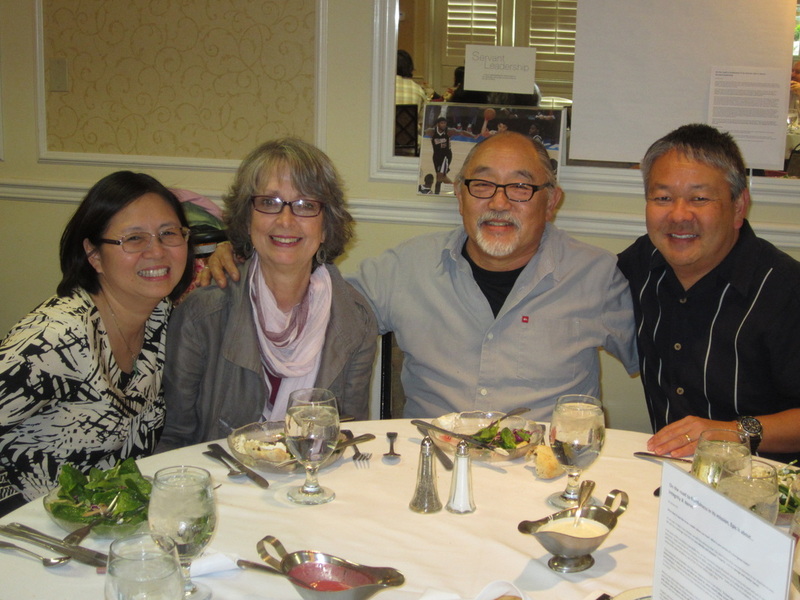 Stan was invited to be the speaker during the session entitled "Learning from Epic's Cloud of Witnesses" because he was, among other responsibilities with Campus Crusade, the first National Coordinator of Asian American Ministries. It was especially meaningful for Stan because he had not addressed Campus Crusade for Christ staff since he left Campus Crusade thirty-seven years ago. Many of Iwa's groundbreaking, countercultural ideas have reached the hearts of people through the writings that Iwa has produced and disseminated over the years. For your spiritual renewal and enjoyment, some of those writings are offered here. If God created human beings to be a reflection of God’s image, how can the Church, representing a fallen humanity restored by Jesus Christ, fully reflect the divine image of God? This article reprinted from Christianity Today describes how the Church, through Jesus Christ, can repair the mirror of God—humankind’s original one world culture—which was shattered at the Tower of Babel, by honoring and embracing each broken fragment—each racial and ethnic piece. If passing out tracts, sharing the Plan of Salvation with strangers, doing door-to-door witnessing, and practicing other traditional methods of spreading the gospel make evangelism seem at odds with a Japanese or Asian cultural upbringing, perhaps different, more culturally consistent methods need to be found to make evangelism seem more doable. This article offers one—“withness”—a relational practice that Jesus himself used that may fit the culture of people of Japanese or Asian ancestry.